Elstead Lighting Quoizel Inglenook 2 light flush ceiling fitting features a ceiling plate, frame and finial all in a valiant bronze finish. The product code for this ceiling light is QZ/INGLENOOK/F. Honouring the tradition of fine craftsmen, this classic item is hand-crafted with exquisite pieces of art glass in hues of sapphire blue, warm honey, amber and cream to create a stunning ceiling fitting perfect for lighting your outdoor space. 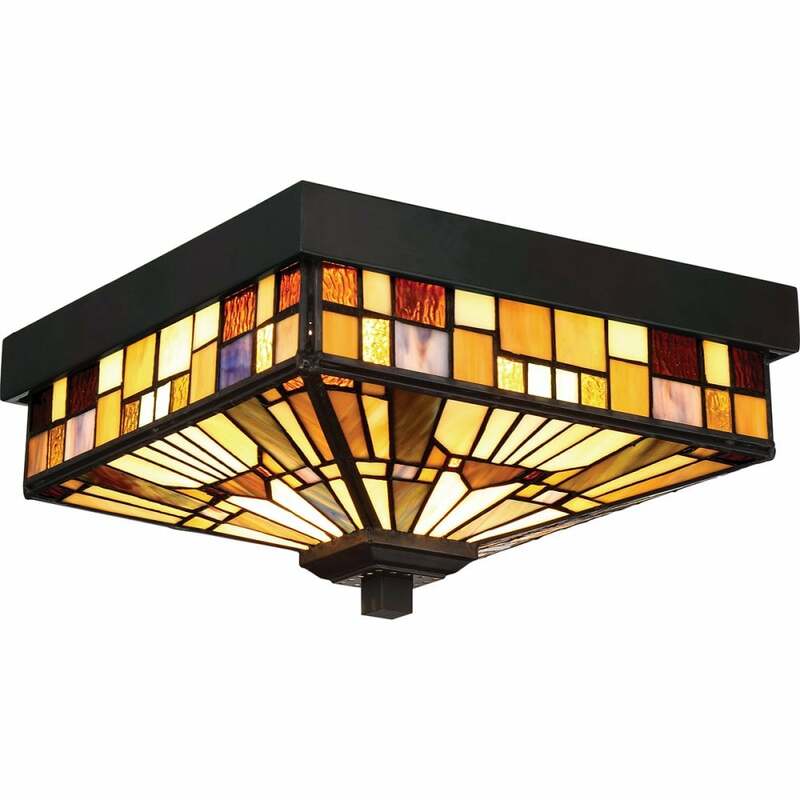 Its unique combination of 'tiffany' style glass and authentic design will make this an ideal lighting solution for modern or traditional outdoor areas alike. The fitting is IP44 rated making this suitable for outdoor use and comes with a 3 year guarantee. Also available is a small and medium wall lantern both of which can be purchased via our website.